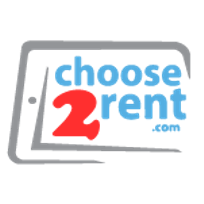 Welcome 2 Choose 2 Rent - an industry leader in providing electronic equipment for rent. We supply our customers with rental iPads, Tablet PCs, mobile devices, printers, barcode / QR--code scanners and a wide range of accessories throughout North America and the EMEA region. Event Professionals use our equipment to create a flawless check-in experience, to monitor session attendance and scan leads at exhibitor booths. Come and see how you can increase your onsite-experience. We`re looking forward to speak with you at Event Tech Live 2018.